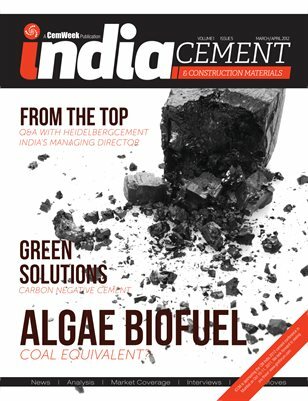 Innovations in cement production are highlighted in this issue of the ICCM. Topics showcased include recent events in the development of carbon negative cement and algae biofuel. This issue also takes a second look at the gypsum market, with an eye to its future. In addition to the issue’s regularly featured departments, a Q&A with Ashish Guha, CEO and MD of HeidelbergCement’s Indian operations rounds of this informational-packed issue.